INDUSTRY.co.id - Jakarta, The movement of the national manufacturing industry is increasingly expansive as it is driven by the fastest growing demand since July 2014. In addition, domestic production has continued to show growth over the past four months and has been the longest expansion period since five years ago. This achievement is based on Indonesia purchasing managers index (PMI) in May 2018 which touched the highest level in 23 months, amounting to 51.7 or up from 51.6 the previous month. The PMI was released by Nikkei and Markit after surveying a number of purchasing managers at several Indonesian processing companies. A PMI above 50 indicates that manufacturing is expanding. "The increase in PMI is very positive, proving that our manufacturing industry is being wriggled. 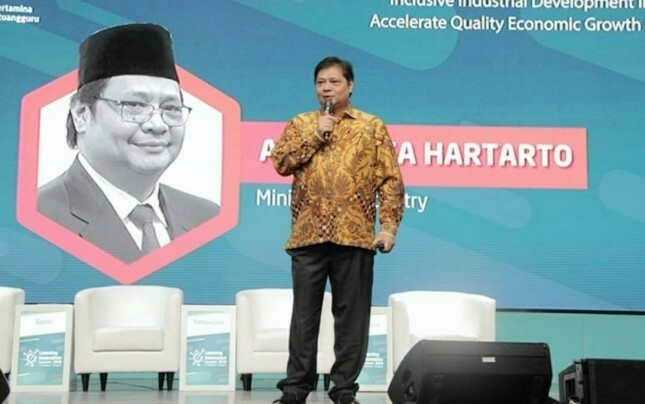 For that, we continue to push to be more productive and competitive, "said Minister of Industry Airlangga Hartarto in Jakarta, Wednesday (06/06/2018). Referring to the Central Bureau of Statistics (BPS) data, in the first quarter of 2018, large and medium-scale domestic manufacturing industry experienced a 0.88 percent increase in production, higher than quarter IV / 2017 (quarter to quarter / q-to- q) or grew 5.01 percent from quarter I-2017 (year on year / y-on-y). Furthermore, the non-oil / gas processing industry grew by 5.03 percent in the first quarter of 2018, an increase over the same period in 2017 of about 4.80 percent. The highest growth sectors were machinery and equipment industries at 14.98 percent. The glorious performance was followed by food and beverage industry which reached the growth rate of 12.70 percent, then basic metal industry 9.94 percent, textile and apparel industry 7.53 percent, and transportation equipment industry 6.33 percent. Minister of Industry affirmed, during this time it focuses on running an industry downstream program that consistently provides a chain effect on the national economy. The positive impacts are among others the increase in the added value of domestic raw materials, the absorption of local labor, and the acceptance of foreign exchange from exports. "We are also actively encouraging increased investment and export values ​​especially in the manufacturing sector," he said. This effort is believed to be able to spur the growth of national economy and can create equitable development and community welfare. The Ministry of Industry noted that the total investment of manufacturing industry (PMA and PMDN) in the first quarter of 2018 reached Rp62.7 trillion. The processing sector is able to contribute greatly to all investment value in Indonesia. The average investment contribution in the industrial sector during the period 2011-2017 reached 45.8 percent, said Airlangga. Meanwhile, in the first quarter of 2018, the manufacturing industry recorded export value of USD32 billion, up 4.5 percent compared to the achievement in the same period last year at USD30.6 billion. In fact, the manufacturing industry contributed the most in tax revenue by the main business sector in the period of January-April 2018. The contribution of this manufacturing sector reached Rp103.07 trillion with double digit growth of 11.3 percent. "So, our industry players have shown their compliance as tax payers," he said.